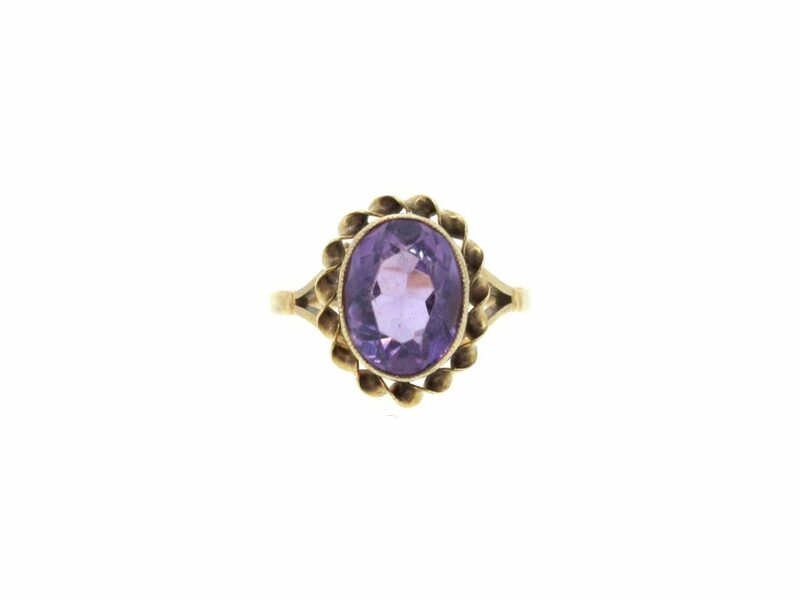 A gorgeous, large oval cut faceted amethyst in an ornate 9ct gold setting, with mill grain detail. Amethyst dimensions approx. 9.4mm x 7.2mm. Pre-owned.